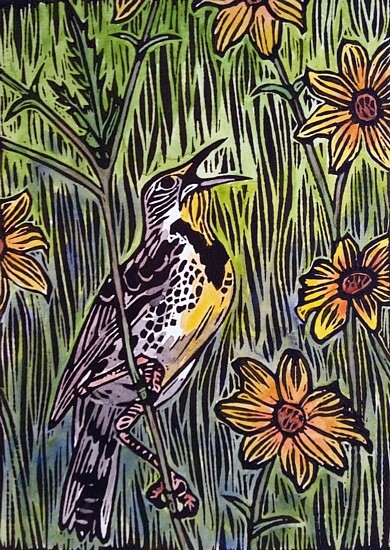 On Thursday, February 5, 2015, from 7 until 9 pm, Nature Artists Guild members, guests and visitors will have the opportunity to explore the art of depicting nature through linoleum block printmaking with Scientific Illustrator, Carrie Carlson. Carrie is especially interested in raising awareness of native flora and fauna, especially threatened species. Please note that this presentation will take place in the Ginkgo Room (located in the Visitor’s Center). There is no fee for the program or parking, and visitors should just let the gate attendant at The Morton Arboretum know that they are there for the Nature Artists’ Guild presentation. Linoleum block is an established printmaking technique accessible for all ages and skill levels! Come learn the basics and how to increase sophistication in both content and methodology to create striking works of art. Working with oil-based inks allows the artist terrific opportunity for hand painting finished prints. Basic tools and methods, inks, papers, alternative carving substrates, and hot tips will be discussed. 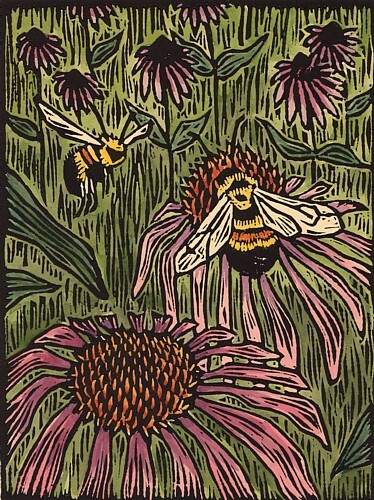 The artist is midway through an ambitious Artist in Residency venture documenting at-risk, recovering, and keystone prairie species through linocut in order to generate awareness and celebration of a local grasslands restoration project. Step-by-step directions and imagery of these grassland pieces will inspire you to seek out your own local cause to celebrate through linocut! Small prints will be provided by the artist for experiential learning in hand-coloring and collaborative artistry! More examples of Carrie’s wonderful artwork can be seen by clicking on this link to her Etsy shop. ← How About “Think Warm”? Beautiful work. Looking forward to the presentation.